We offer emergency service 24 hours a day, 7 days a week. 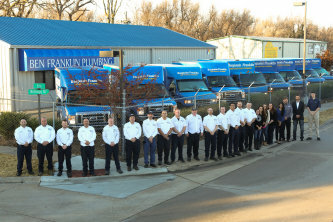 Our licensed master plumbers and journeyman plumbers are here to service both residential and commercial plumbing issues. Repairing leaky faucets, toilets, sinks and showers. Installation of toilets, sinks, water heaters, water softeners. Sewer line repairs and installation. Clearing of sewer pipe clogs (roto rooter) and drain clogs. 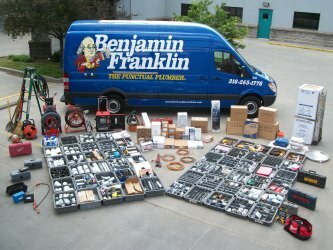 We service Wichita and the surrounding areas, including Derby, Andover, Bel Aire, Maize, Goddard and more. Please visit our website for a complete list of cities served.